Especially with the expansion of caregiving, more and more seniors are staying at home. 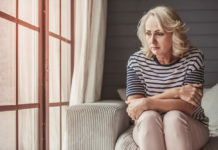 Caregivers can keep a closer eye when they provide in-home care, these elderly home safety tips can offer a peace a mind when a provider is not there around the clock. Especially with the expansion of caregiving, more and more seniors are staying at home. While keeping seniors at home reduces healthcare costs and enhances quality of life, keeping them safe is imperative to reap those benefits. And on average, caregivers spend 24.4 hours a week providing care to their loved one, while one quarter spends 41 hours or more. 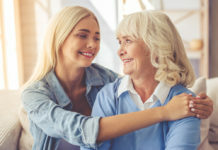 Whereas caregivers can keep a closer eye when they provide in-home care, these elderly home safety tips can offer a peace a mind when a provider is not there around the clock. Keep the clearing of doorframes as smooth and seamless as possible. Additionally, a 32-inch threshold accommodates most wheelchairs and may be as simple as prying off the hinges and taking off the door. A marked consideration also includes the primary home entrance, as they may continuously welcome visitors. Be sure to keep such areas clear and free of clutter. If possible, keep seniors on the main level, as stairs pose great risk to seniors. But if their use is inevitable, add a second railing or wheel-chair ramp as needed. Painting the steps with a bright color can help differentiate the individual steps with an outdoor, more abrasive paint can offer a non-slick surface. Review medications and assort them based on required use. Offering seniors a convenient dispenser and sounding reminder can facilitate medication compliance, which can support both physical and mental function. An abundance of medical alarms offers caregivers more comfort when they are absent. Additionally, install and verify that smoke detectors are actively working on a regular basis. Install railings and grab bars next to toilets and bathtubs, as doing so can offer them mental security and safer shifting throughout the bathroom. The bathroom comes with many slippery surfaces, especially in the bathtub. Place nonslip mats mostly in or around the shower and near the sink where water may inhabit. A sturdy seat and handheld shower nozzle can also offer safety, especially in slippery bathtub areas. Keeping soaps within reach can also reduce extended range of motions that may lead to an unnecessary fall. Common toilet seats are set fairly low to the ground and requires strength to comfortably sit on it. Although grab bars can assist in toilet safety, a raised seat can reduce the amount of squatting required. Keep commonly used items on the lowest cabinet shelf to prevent overextending and climbing. Offer a single step if necessary, but only if the senior has noticeable balance and strength to use it. Be sure to close all drawers when not in use, while also locking them if appropriate. Additionally, keep all sharp knives in a secured drawer. Offering a nonslip mat, especially around the kitchen sink, can reduce the risk of sliding while maneuvering in the kitchen. 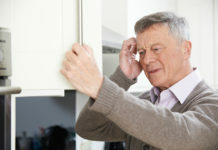 Especially if seniors use the kitchen counter for safe guiding, they run the risk of hitting the edges. Stay cautious of sharp corners and round them off if at all feasible. Although this holds true throughout the entire house, plug-ins are largely used in the kitchen. Place covers over socket covers and unplug appliances when not in use. Although family caregivers are nothing short of admirable, it is absolutely passable to delegate other duties. Especially if a medical condition is present, an in-home nurse can be highly valuable to assist in associated health procedures and tasks. Offering seniors physical therapy can further maintain or improve seniors’ balance and strength. And for all cooking and nutrition needs, look to Silver Cuisine. Silver Cuisine delivers nutritious meals straight to seniors’ doorsteps without the extensive need of grocery shopping, meal prepping, and kitchen cleaning! All required is simple ordering and a short time to heat in the microwave! Find more information on Silver Cuisine here.